MoD Design Guru - Fresh Ideas + Cleverly Modern Design: Designer Spotlight: Jason Wu for Brizo Collection, "Fashion for your home"
Designer Spotlight: Jason Wu for Brizo Collection, "Fashion for your home"
The Jason Wu Home Collection for Brizo is eye catching!! 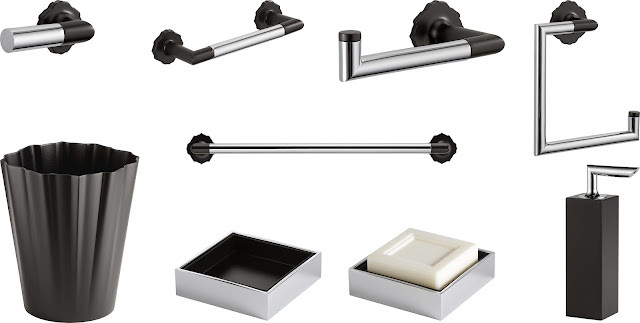 The ultra-sleek lines, the intricate detailing, the unique technology and the beautiful black matte finish juxtaposed against the chrome and brushed nickel finishes make the high-style collection very special and oh, so chic! Brizo continues to be one of my favorite luxury bath–fittings brands because their brand merges fashion-foward design with innovative technology. 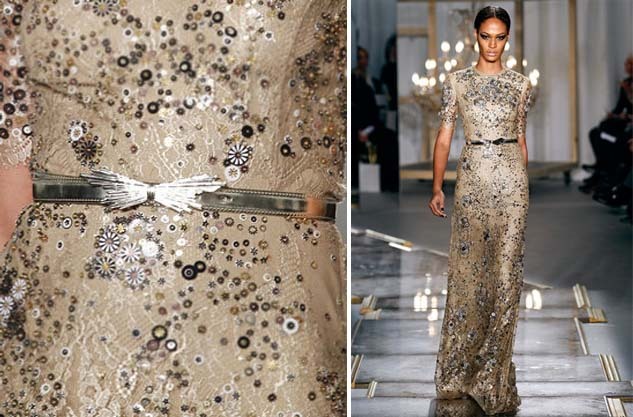 And who doesn’t love the sublime fashion designs by Jason Wu? Wu’s 2011 fall fashion collection, inspired by Robert Polidori’s photos of the 25 year restoration of Versailles was outrageously beautiful! The interplay of old-world opulence and present day materials informed his design-making. One of my faves was the black lace of falling leaves on a belted cream jacquard shift dress: incredible! 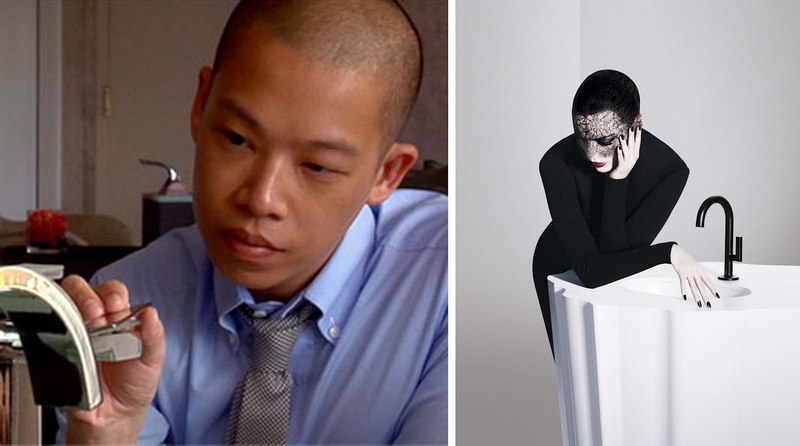 How did Brizo’s relationship with Jason Wu begin? The Brizo brand first partnered with fashion designer Jason Wu in 2006 with the intent to bridge the gap between home and fashion design. Both brands share the position that fashion is an expression of personal style and can be achieved on the runway, as well as in the home. This position has been continuously reinforced throughout the relationship. From the beginning, Jason Wu’s inherent sense of style and thoughtful design choices has made him a natural fit for the Brizo brand. How did Jason Wu come to design for Brizo? Throughout the years, Jason Wu has created exclusive fashion designs and accessories for Brizo product campaigns and events and his New York residence is outfitted with Brizo Loki®and Pascal® faucets. 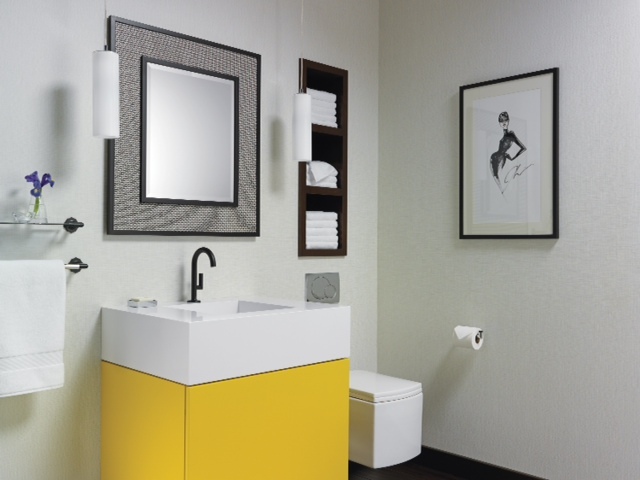 The Brizo brand and Wu are a perfect pair, sharing not only a similar design aesthetic, but also the same discerning consumer. Collaborating on a shared collection was a natural evolution of this relationship. The Odin faucet is actually quite amazing! You just touch the faucet and the water automatically starts or stops!! I asked Brizo to describe the innovative details of their timeless bathroom collection of fittings and accessories. 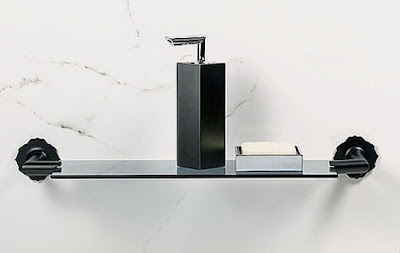 Besides serving as a platform for the introduction of our exclusive Matte Black finish in the lavatory, the Jason Wu for Brizo Odin faucet features a unique and unexpected rotating handle motion to emphasize the collection’s modern and seamless design. Punctuated by Jason Wu’s signature Miss Wu owl emblem on the tip of the handle, this faucet is truly the collection’s showpiece. Wu's Odin Faucet for Brizo has a simple and beautiful curve, like a woman's silhouette combined with SmartTouchPlus(tm) Technology. Can you take us behind the design and describe the creative process of merging design with technology? The Jason Wu for Brizo collection strikes a delicate balance between sleek Scandinavian inspiration and Baroque detailing. The juxtaposition of ultramodern clean lines and ornamentation marks the fusion of Jason Wu and Brizo design styles and represents the convergence of the faucet and fashion worlds. The collaboration between the Brizo product team and Jason Wu draws support from the idea that design, whether rooted in garments or interiors, follows the same path from conception to completion. Working together afforded both brands the opportunity to experiment with new materials, perspectives, and design tools and prompted the teams to re-examine the functionality and design behind each item in the collection. The similarities and differences between industrial design and fashion design also encouraged each brand to push itself to new limits. For instance, the timeline in faucet design is much slower than fashion design. Each brand was challenged to think differently and use new technologies to satisfy various design elements while still conforming to certain specifications. The entire process lasted about two years from start to finish. In the end, a uniquely slender faucet was created with a handle motion that moves unlike anything else on the market. Thank you Brizo for an amazing interview!